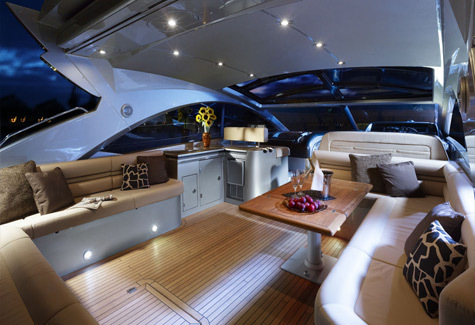 Poole based boat builder Sunseeker have been riding the crest of the wave this past decade with an influx of millionaires moving into the Sandbanks area. Sunseeker who are located just round the corner are well placed to offer these millionaires the luxurious play toys for the water to match their play toy houses on the Sandbanks. 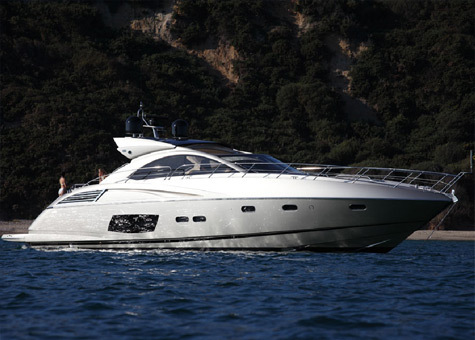 Sunseeker products have grown in size and numbers and one of the latest creations comes in the form of the Sunseeker Predator 60 which made its debut at this year’s Boot Dusseldorf show. From the outside the Predator 60 fits with its family’s design and styling attributes, large highly racked front windscreen with half-curved side windows give the vision of performance to the top deck and cockpit area coupled with the large slanted rectangular master bedroom windows carved into both sides of the lower back third of the hull give the Predator 60 a stand out value in the crowd. 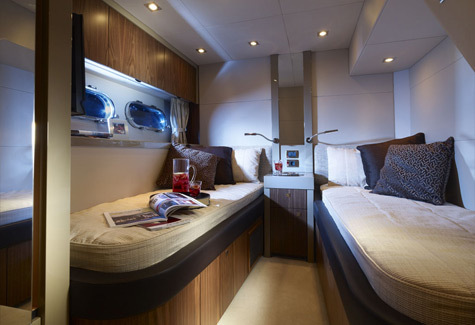 Suneeker provide semi custom layouts for their boats at the lower end of the scale which the Predator 60 is part and comes with 3 spacious cabins that accommodate 6 people plus an extra crew member if required. 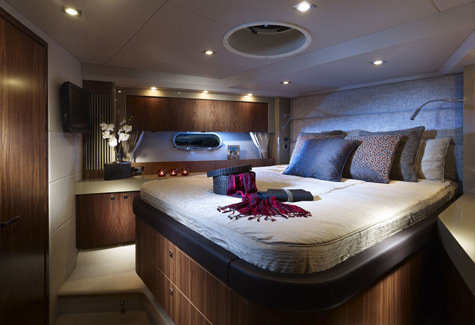 The Predator 60 is fully air conditioned in the cabins with reserve cycle heating during colder weather. 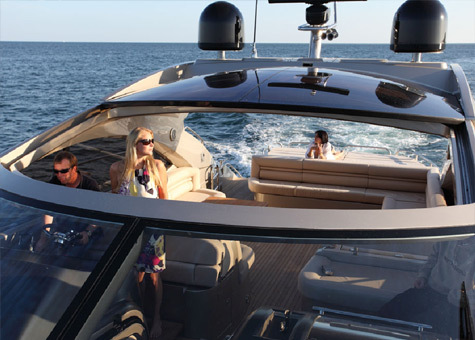 As you would expect from any boat of this size and cost entertainment is paramount and Sunseeker have excelled with a complete entertainment system that includes a built in radio’s, flat-screen TV’s with matching DVD and CD players and a comprehensive surround sound system. 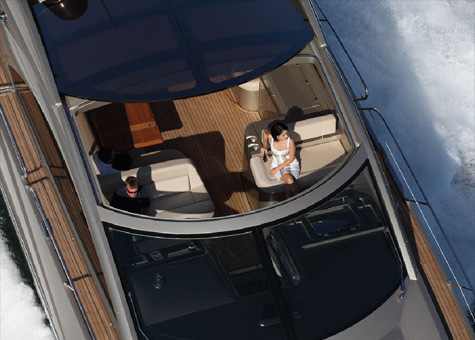 The Predator 60′ is equipped with a retractable roof so when entertaining night or day guest can experience views of the sea or sky while sitting on its double helm seat or navigation seat. Predator 60′ is well equipped with the latest in electronic navigation and helm aides, radar, a Ritchie high-speed compass, walnut fascia and leather rimmed steering wheel. The predator boasts, hydraulic trim tabs and Steering for easier and smooth use plus a remote controlled helm search light coupled with bow docking lights for easier mooring at night. The Predator 60 is available in open and hard top versions. Either accentuates the clever cockpit detailing which includes an off-centre sunpad, permitting a wide starboard stairway up from the bathing platform while retaining a cunning stairway straight to the port side deck. The sunpad’s lip extends aft-wards over the stern garage door effectively providing additional length on deck. Meanwhile on the foredeck, sun loungers benefit from neatly hinged backrests for increased comfort and better all-around viewing. 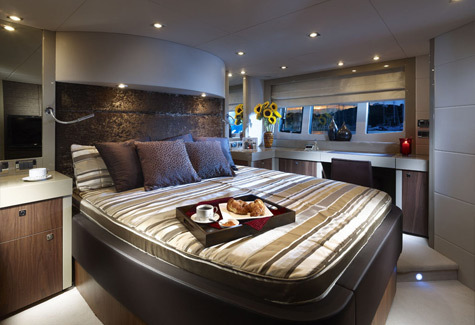 The cockpit and its seating arrangement provides ample space for entertaining guests, relaxing during ongoing sea voyages or simply anchored up for a spot of lunch and is serviced by the large well equipped wet bar. Below decks the saloon and all three guest cabins each feature their own flatscreen TVs and AV systems set in a choice of highly contemporary designs that can be enhanced with a further choice of bold lacquers, bright grains and highlights or softened with more conventional finishing. 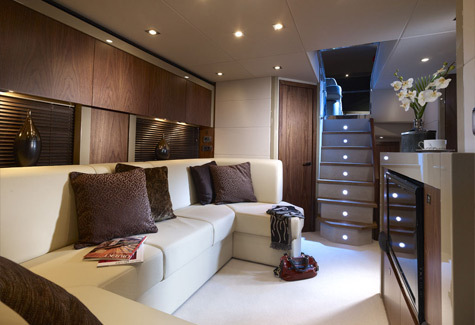 The general arrangement of the VIP suite forward, master suite aft and twin bed cabin to port radiate from the central saloon. 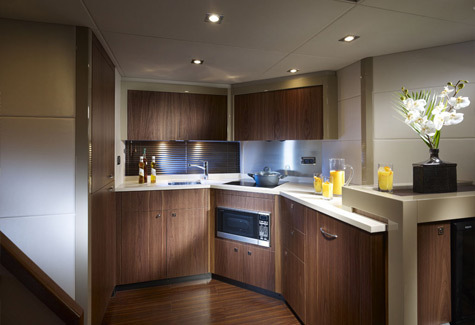 The fully equipped open plan galley includes electric refrigerator, freezer and microwave/grill, a ceramic hob and ample stowage. 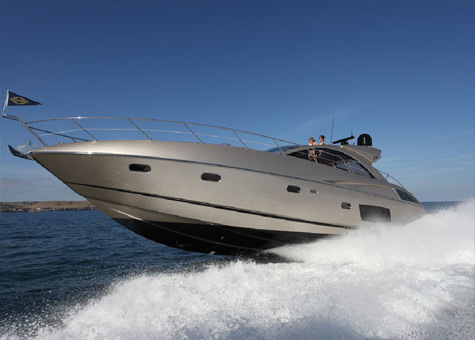 The Predator 60 can top speeds up to 42 knots and can cruise at speeds of 28 knots depending on engine and drive choice. The aft garage is capable of housing a tender which can be easily launched and retrieved from the bathing platform. 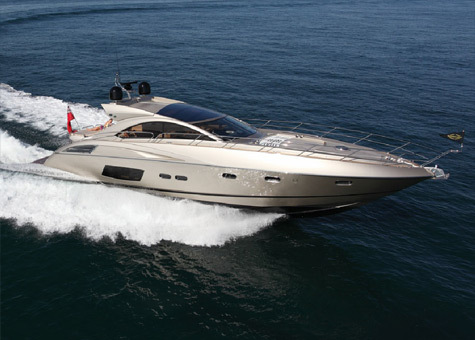 The Sunseeker Predator 60 fits beautifully within the Predator range between the 54 and 64 alike and is a very versatile and comfortable cruiser capable of giving you a thrill if you need one with its hidden performance. We Are sure that the Predator 60 will become a common site in coming years on the English Riviera no doubt. Great Review Wsb, I saw the new P60 at Dusseldorf and she was every bit as you described very well built and superb layout and i really like this gold paint scheme that Sunseeker have adopted too they used is on the P108 special edition at London BS too. The predator range is an awesome range but I personally would favour the Italian builders they just seem to be able to embed a little more style into their yachts. nice review though wsb. 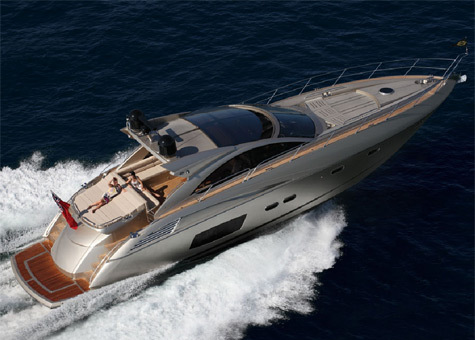 Love Sunseeker and the 60 looks aweseome!